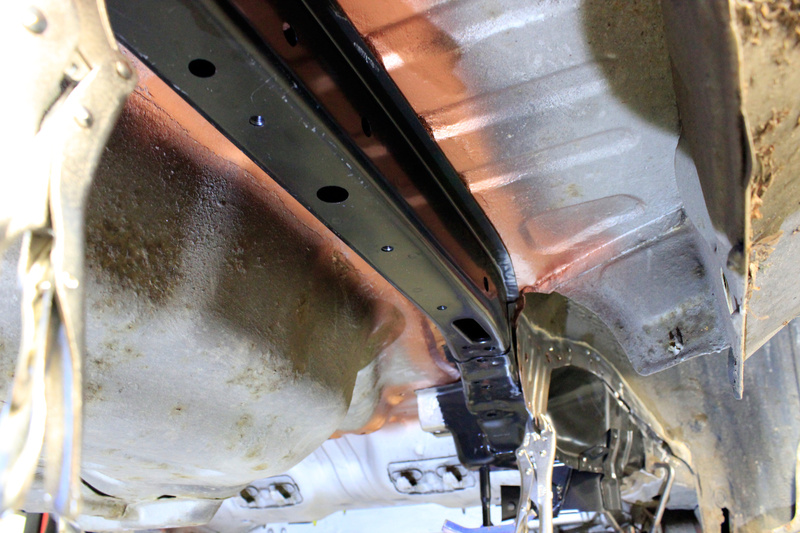 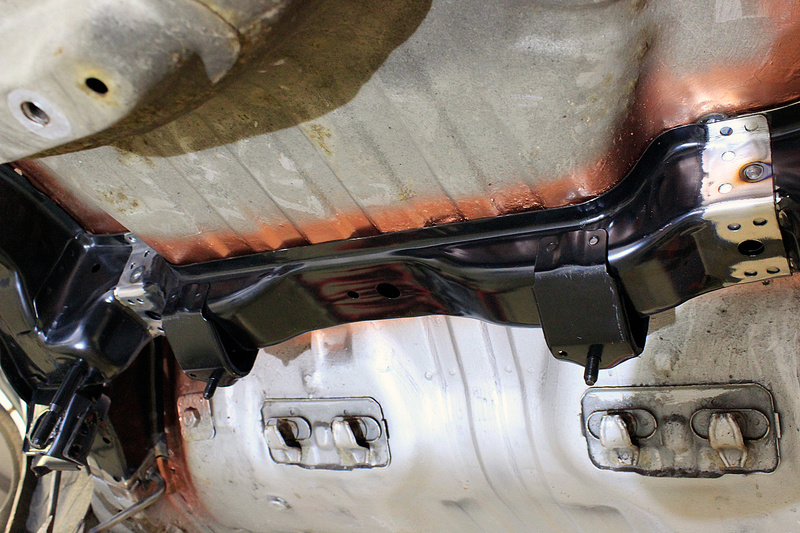 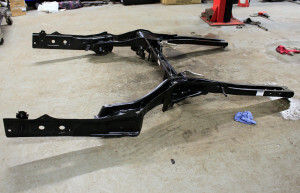 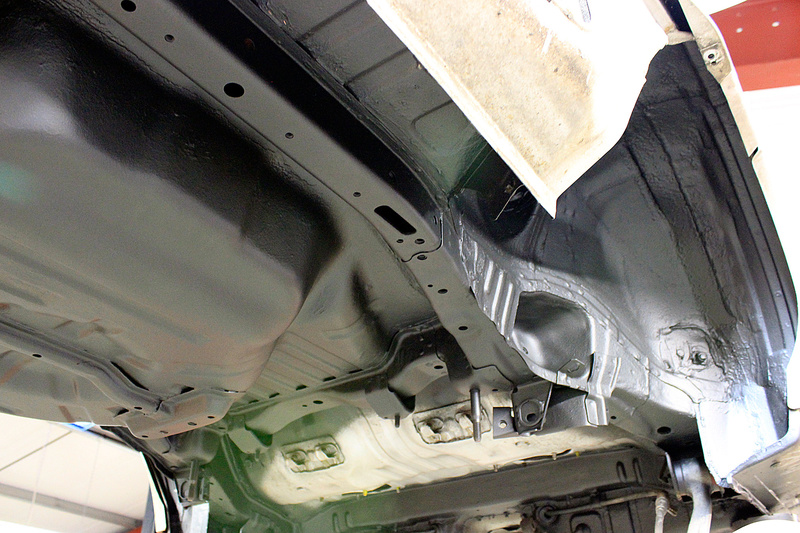 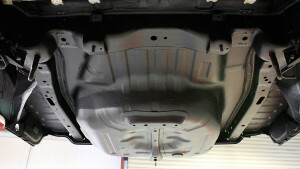 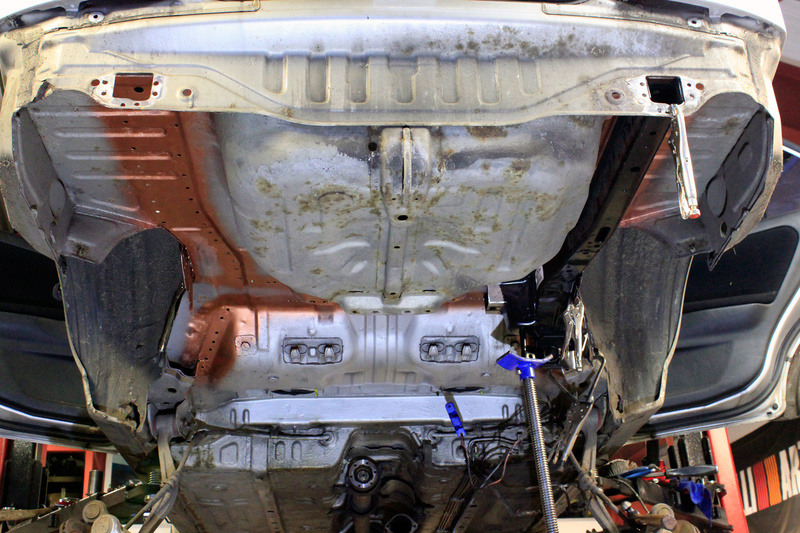 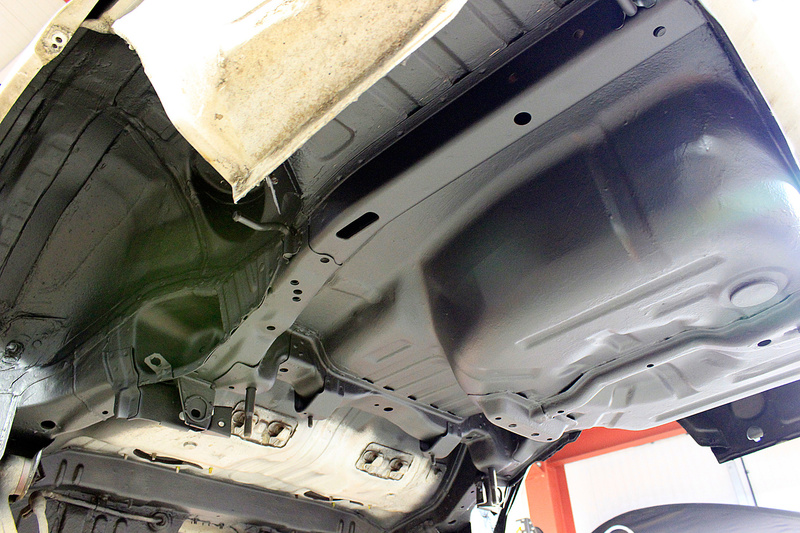 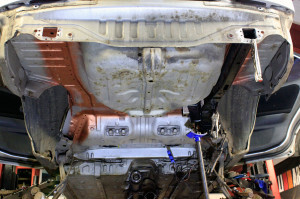 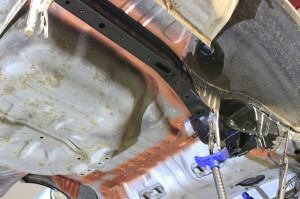 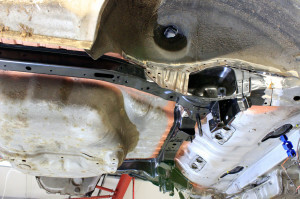 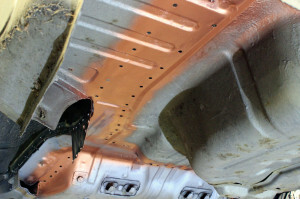 The underbody restoration of Mitsubishi Evolutions, has become a hot topic in recent years. Unfortunately for the owners of these cars, if the vehicles have spent their lives in the UK, they will no doubt have been subjected to harsh wet winter roads, normally treated with salt. 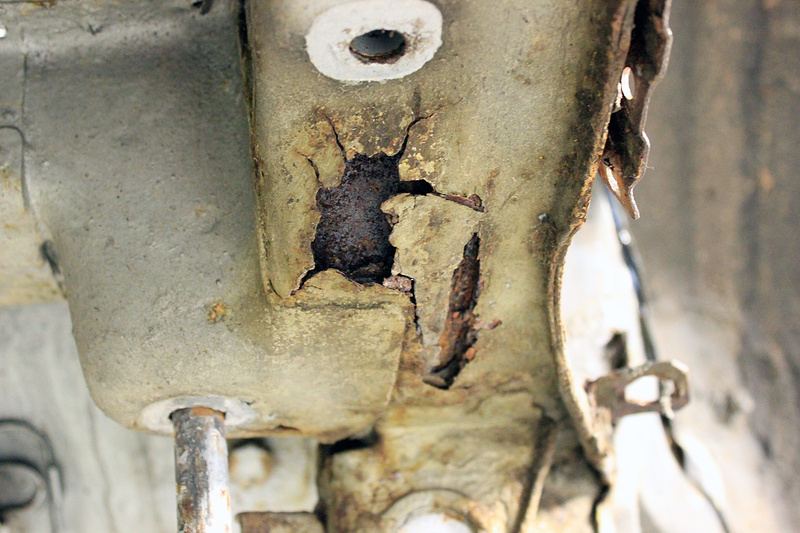 The continued use of these un-galvanised, Japanese machines in British winters, causes severe and extensive chassis corrosion. 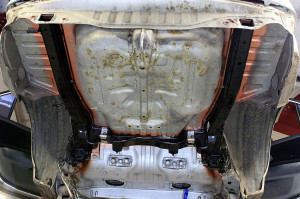 The result of this, is first of all, a big safety concern when driving the vehicle, secondly is owning a vehicle which won’t pass it’s annual MOT test. 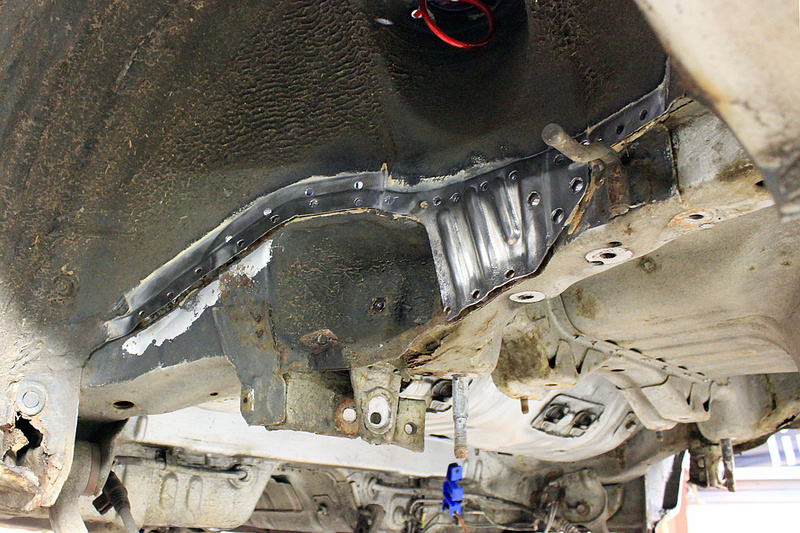 The cause of the corrosion issues, are a result of the ingress of water and salt into the chassis legs, side sills and wheel arches. 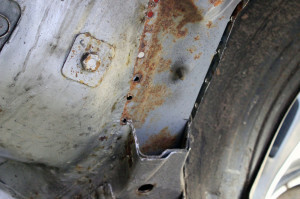 This has devastating effects to the untreated metal that these cars are built from, often rotting the chassis legs from the inside out. 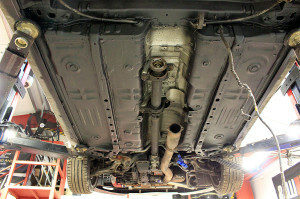 Below we will show you what to look for when buying an Evolution second hand and also what can be done to repair these problems here at Auto Torque. 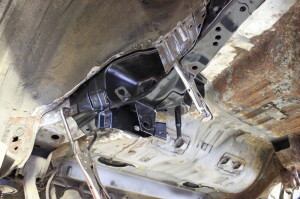 Below is a photograph of a complete rear chassis leg replacement carried out on an Evolution VI. 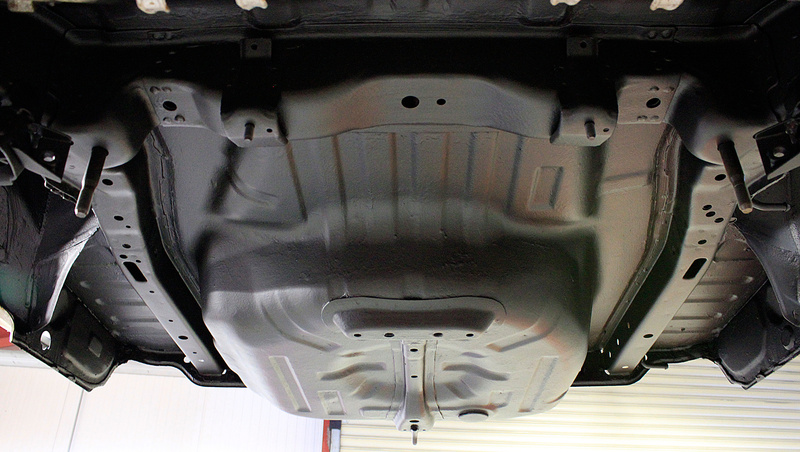 The majority of our restoration work is carried out on the Evolution VI, due to it’s popularity and the numbers here in the UK. 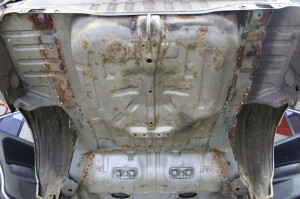 However, these issues are not limited to the cars that were sold at the turn of the century, we have seen significant chassis corrosion in cars as recent as a 2006 Evolution IX also. 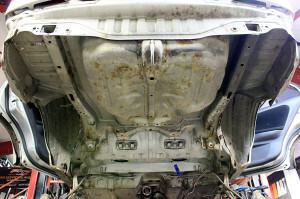 Well first of all, every case is different, so we need to inspect each car thoroughly to understand the extent of the problem. 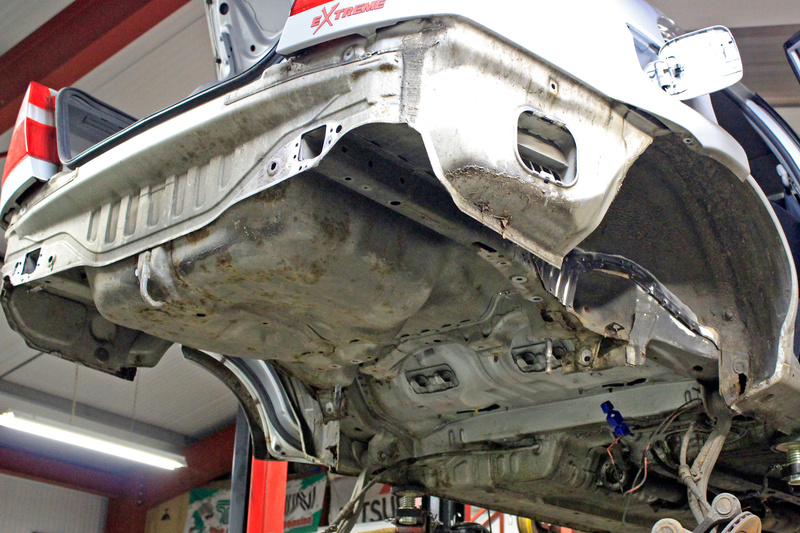 We cannot operate on a fixed price, as each car has different needs due to climate, storage and the location the car has spent it’s life. Below you will see the condition an Evolution VI was brought to us and the stages it went through in it’s restoration process. 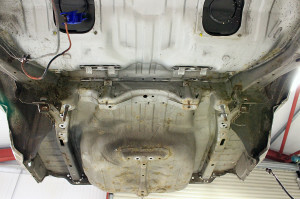 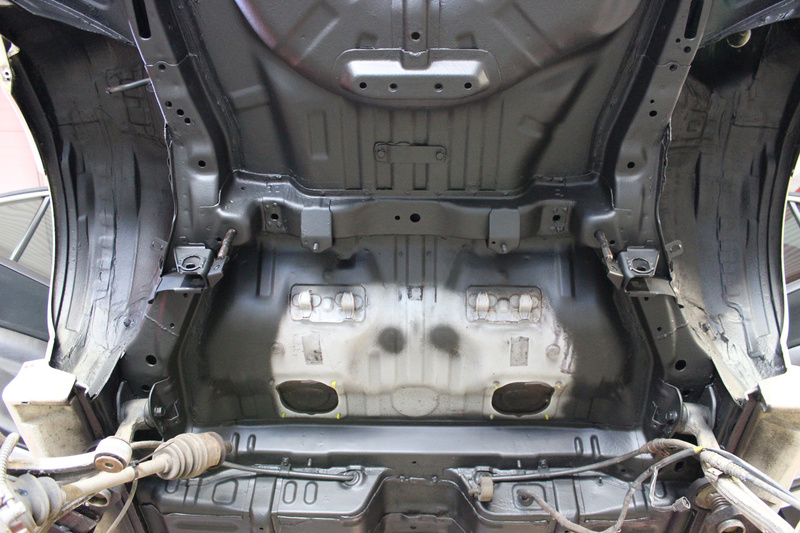 The complete rear assembly is removed including the fuel tank, propshaft, rear seats and carpets. 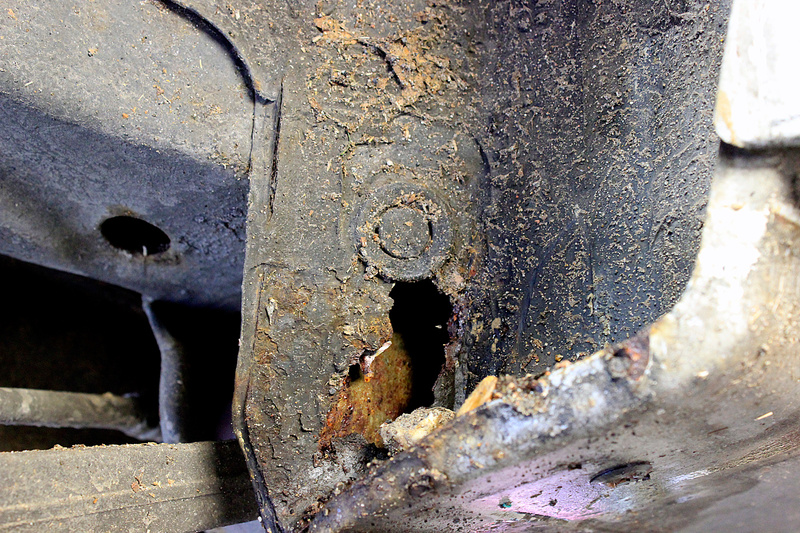 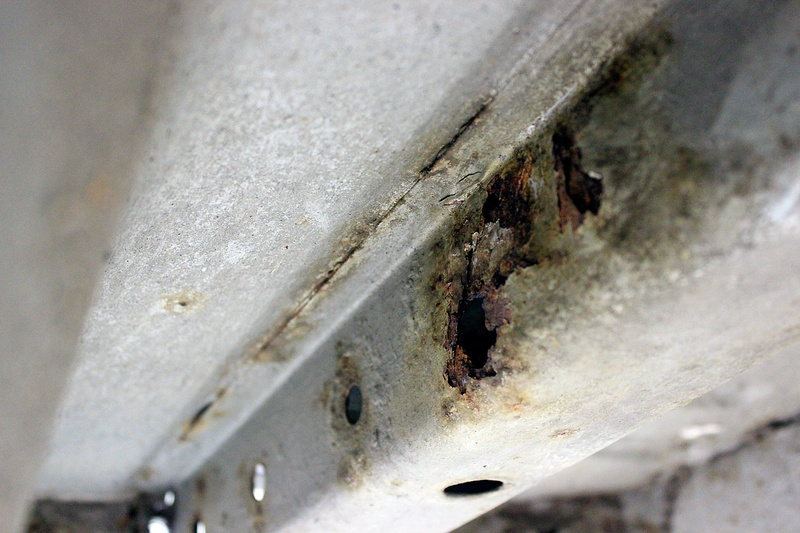 Some heavy corrosion on the rails, which is much more apparent once the subframe is removed. Below you will see the un-picking of the spot welds in the rear wheel arches. Also shown is a common problem area, towards the bottom of the wheel arches. 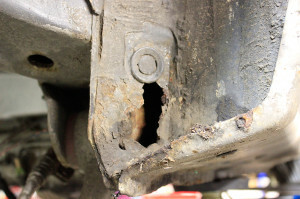 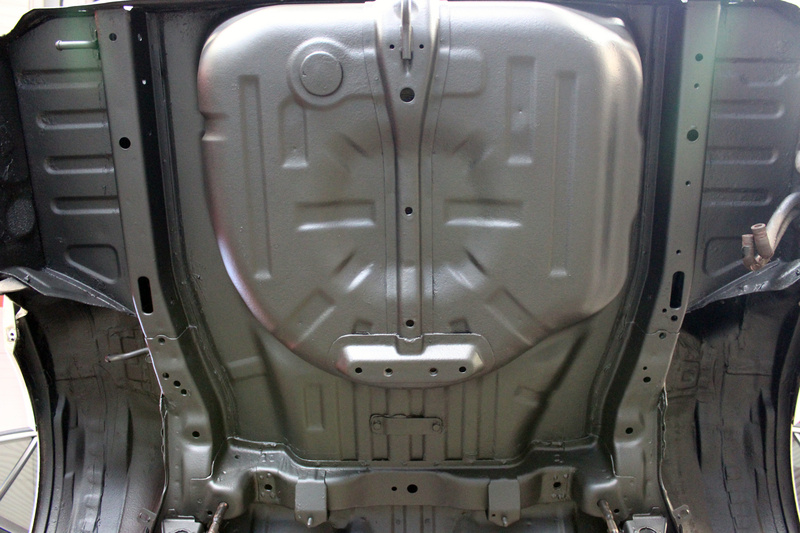 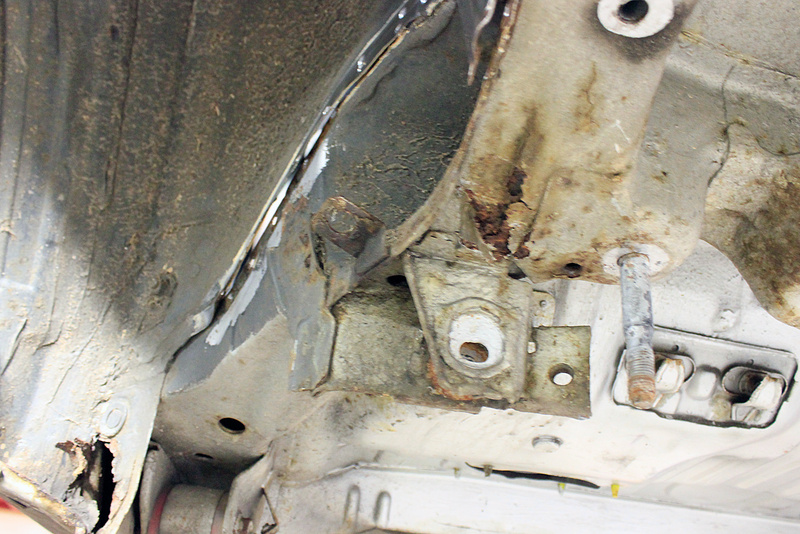 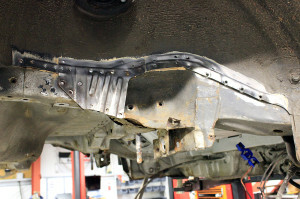 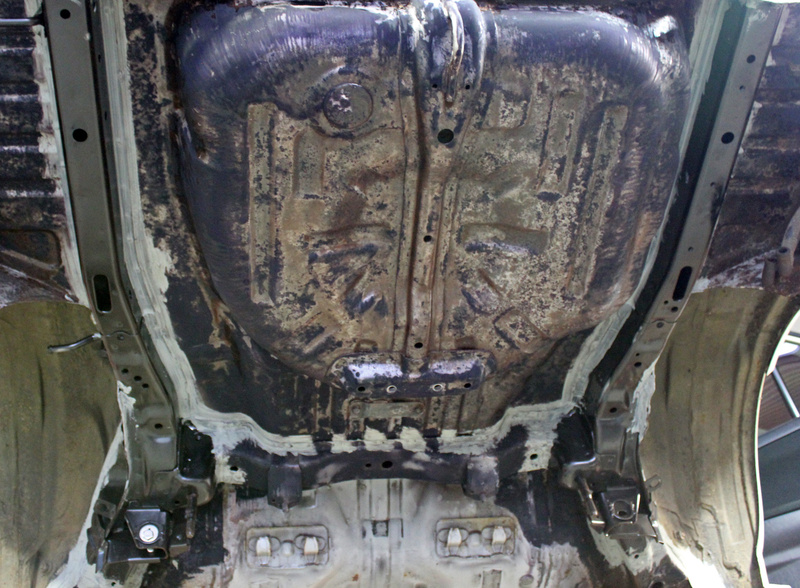 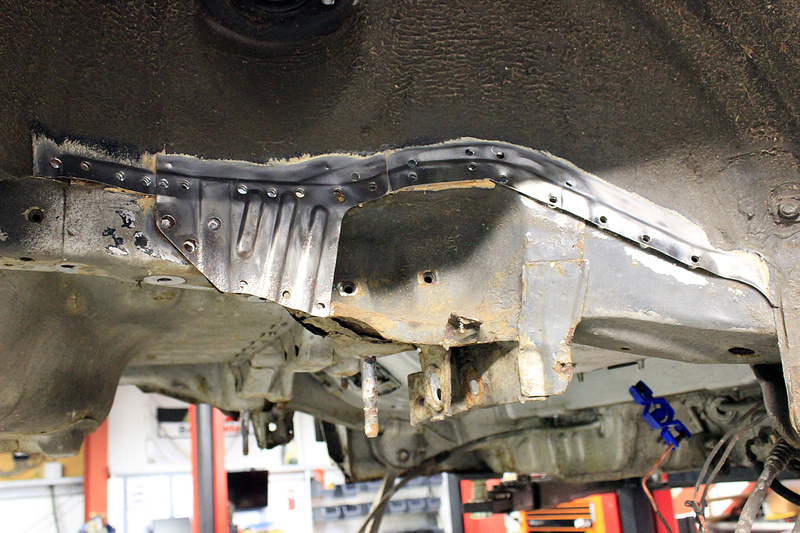 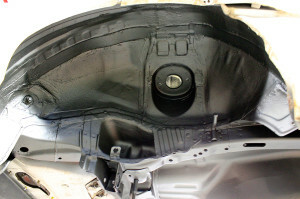 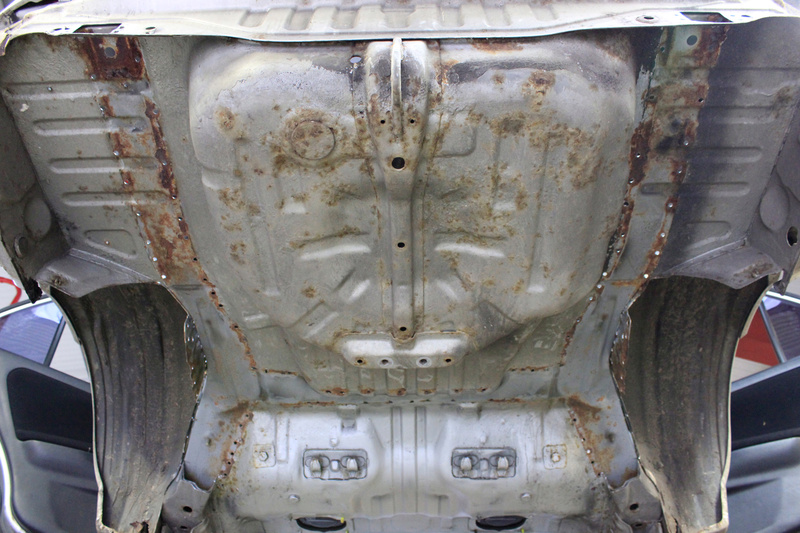 The rails that join to the boot floor located behind the rear bumper are very susceptible to corrosion. The area due to be replaced is cleaned up, any material that is corroded is removed. New chassis legs going in. Once the are fully welded in and sealed they are treated to underseal and cavity wax to prevent this problem reoccurring.